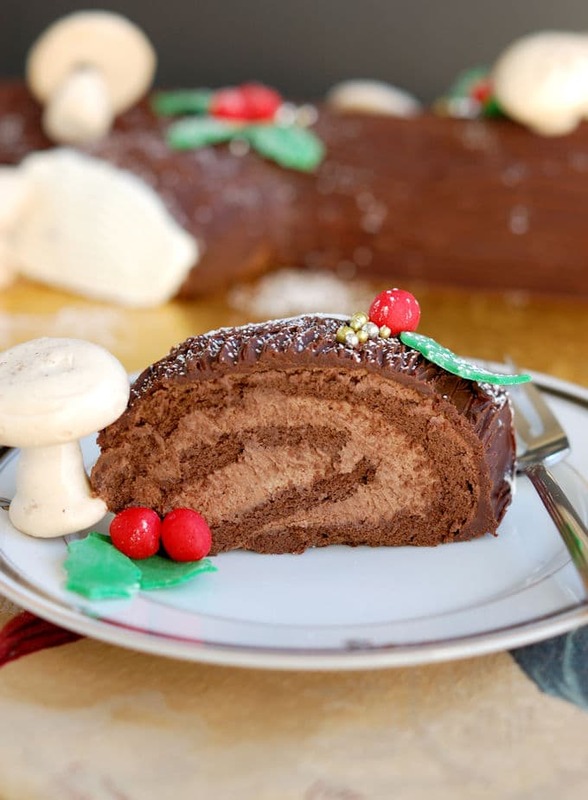 Buche de Noel, or Yule Log Cake, is a classic Christmas dessert for a reason. I know you’ll love this chocolatey, rich, (gluten-free!) 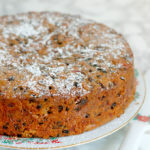 yet surprisingly light cake. I make one of these beauties almost every year. A big, beautiful Buche de Noel decorated with meringue mushrooms and marzipan holly is the perfect centerpiece for your holiday table. First of all, it’s chocolate (duh, always a good thing) and, even better, it can be made well ahead of time. 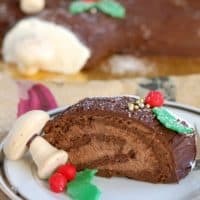 Buche de Noel is rich, yet surprisingly light! 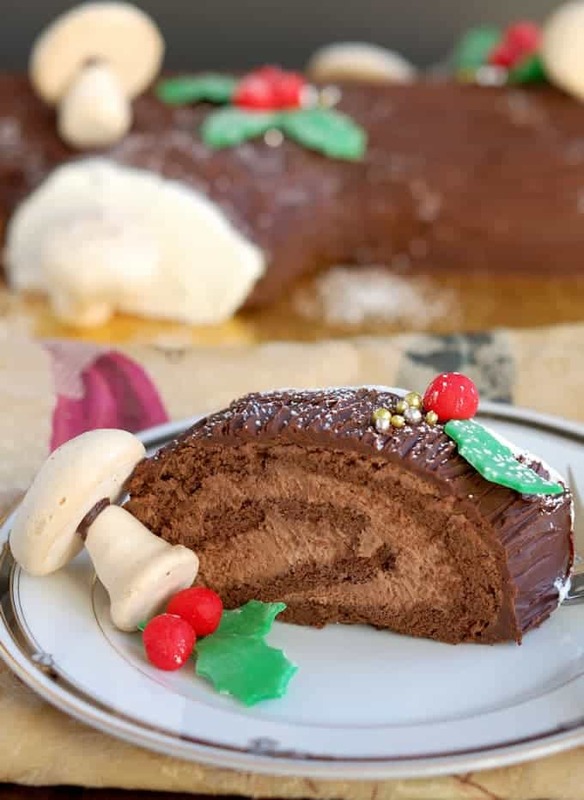 The base of my Buche de Noel is a flourless chocolate sponge-cake. Since the cake is flourless this also happens to be a gluten-free dessert. Both the sponge cake and the fluffy, whipped-cream filling are super light. 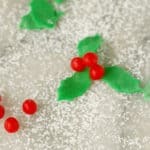 You’ll find that a bite of this festive dessert almost melts in your mouth. 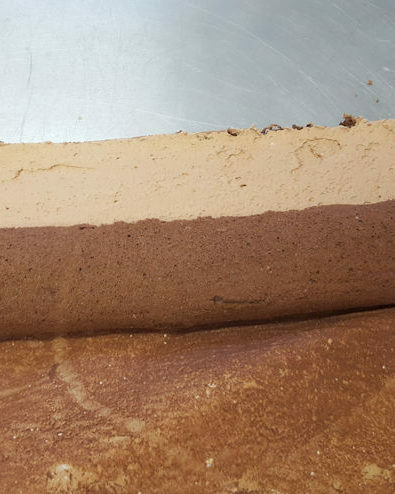 If you’ve never made a roll-cake before check out these detailed photos showing the process. Click on the right arrow to view the slider. 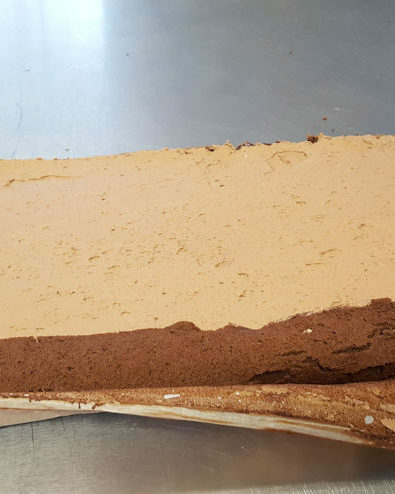 You can also visit this post to see a video of how to roll the cake. 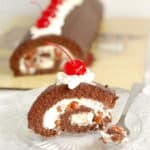 This is really not a difficult recipe, though it is a little bit of a project since you have to make the cake, filling, ganache and decorations. 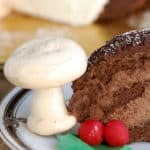 You could simplify the recipe by eliminating the mushrooms or using fondant to make the holly or even buying edible decorations at the craft store. But this is the baking season. 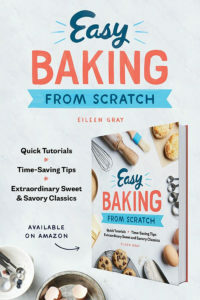 So why not get in the kitchen, have fun, and wow your friends and family with this spectacular cake! 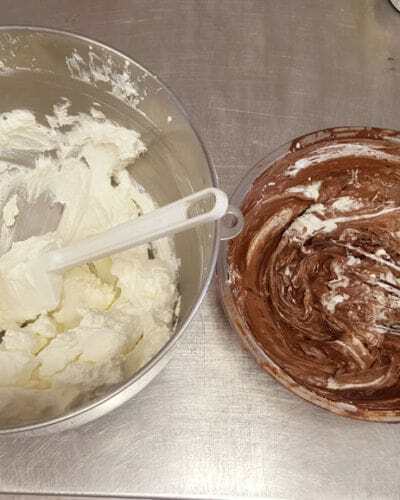 Whisk the egg yolks with 1/4 cup of the sugar and the cocoa until light and fluffy. As soon as the cake is removed from the oven, cover with a damp kitchen towel and set aside to cool. Attach the cut pieces to either side of the log to resemble branches. Just before serving add the meringue mushrooms and sprinkle the cake with confectioner's sugar to look like snow. 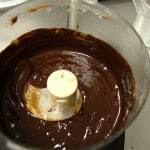 At this point the cake can be wrapped and refrigerated for several days before finishing or frozen for several weeks. The cake can be refrigerated until 1/2 hour before serving. 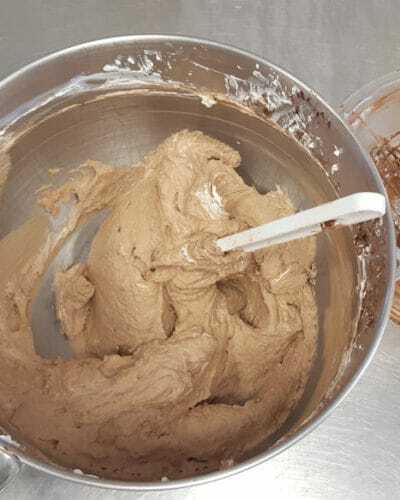 Do not place the meringue mushrooms on the cake while it's refrigerated. Oh, thanks Marie-Pierre. I’ve changed the name of the recipe. 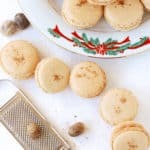 I love a good classic recipe and this one looks so fantastic! Thanks for posting this one! I’ve never attempted to make one but I want to now! 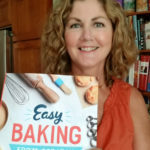 You did a wonderful job with this recipe! Yum. Hey Eileen! 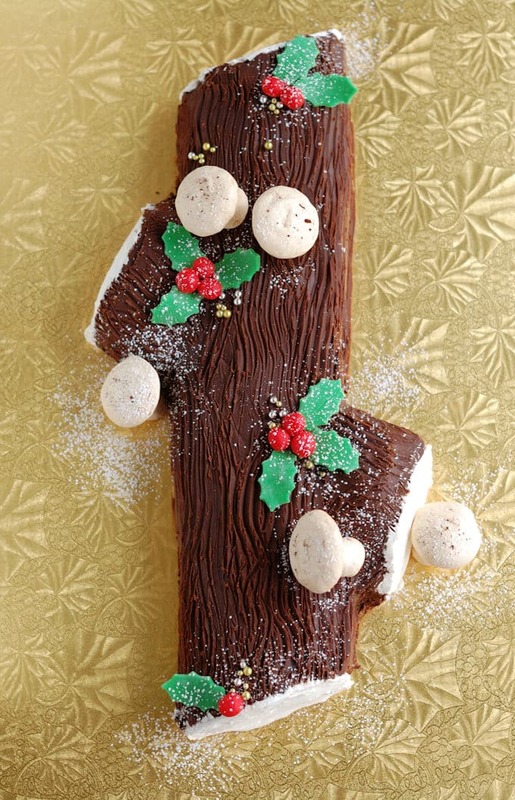 I love buche de noel! And I love that the sponge is flourless in your version. It looks beautiful!